This is a sponsored Blog Post. However, the views expressed in this post are my views and not those of the company supplying product. I was delighted to receive a Clipso One Pressure cooker from the lovely people at Tefal recently for a test drive. Having not worked much with these devices in the past, I was initially a little confused as to how they worked but also a little wary. Upon receival I was told to try a recipe that was more suited to spring time cooking (AND NOT A STEW!!!). This got me worried and then, it got me thinking. Luckily however, I did not have to think for too long as I also received with it a little book with a large variety of recipes, some of which were stews, many of which were not. I decided to test this piece of kitchenware by making Roquefort flans. Looking at the unit, it appears well made and finished and of sturdy design and comes with a good set of instructions to help you on your way in case like me you hadn’t used one before. 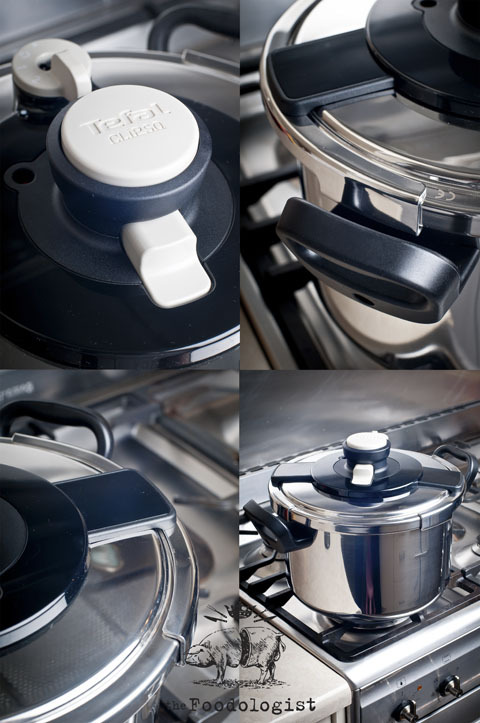 According to the literature on the Clipso One, it is made of 18/10 stainless steel, has a one speed regulating valve, is suitable for all stovetops (including induction) and with the exception of the lid, is dishwasher safe. In fact, the only thing I knew about them was that I had seen the guys on Iron Chef America use them to cook fork tender stews in under an hour with them and perhaps even more importantly was the fact that my mother-in-law who is an awesome cook, swears by them and I had on many occasions had the pleasure of eating food that had been made in them. Cooking food under pressure effectively allows food to steam or stew at temperatures higher than those normally available whilst not under pressure. At sea level, water boils at 100 degrees centigrade which is a well known universal law of physics. In fact those familiar with cooking at altitude will know that boiling food at significant altitude presents problems because water boils at significantly lower temperatures due to the reduced atmospheric pressure. This was well described in Charles Darwin’s The Voyage of the Beagle where he described that despite boiling potatoes for hours at an altitude of 11,000 feet, the potatoes were still ‘nearly as hard as ever’. When pressure is significantly increased however, as is the case in a pressure cooker, water will boil at significantly higher temperatures. This means that food will break down much faster than conventional boiling or steaming and therefore greatly reduced cooking times will result. Other perceived benefits are that as the unit is sealed during cooking, more of the nutrients are contained in the food. 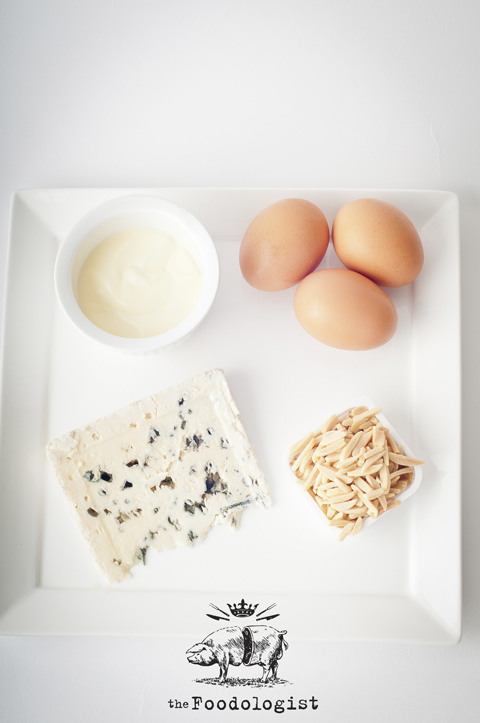 Blend the Roquefort with the cream and add the beaten eggs. Season with salt and pepper. Add the toasted almonds. Butter 4 ramekins and fill them with the mixture. Place them in the steam basket. Fill the cooker with 750ml of water and place the steam basket on the highest level and close the cooker. Place the pressure cooker on the heat source and heat on the highest setting until the steam starts to release. Then lower the heat and continue to cook for 6-8 minutes. Then release the pressure according to the instructions and open the cooker. 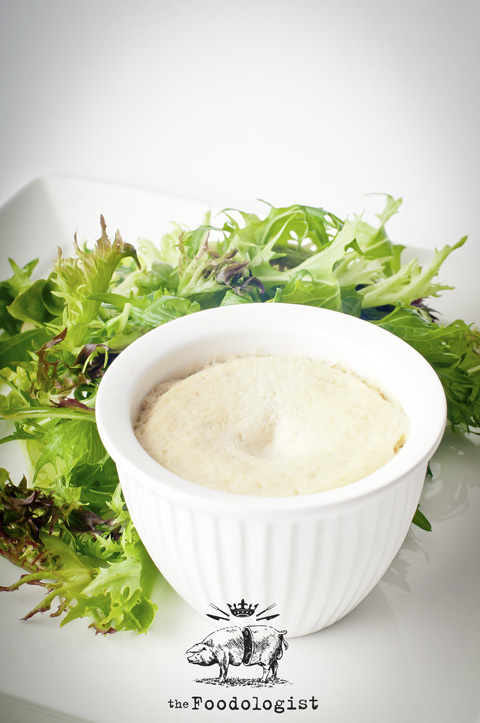 Serve lukewarm or cold with a green salad with walnut oil salad dressing. The flan was light and fluffy and perfectly suited to the lovely spring day on which I made it. Also the great thing I’ve learnt from this exercise it that despite first impressions, pressure cookers are easy to use and can be effectively used to cook more than just stews during the winter. 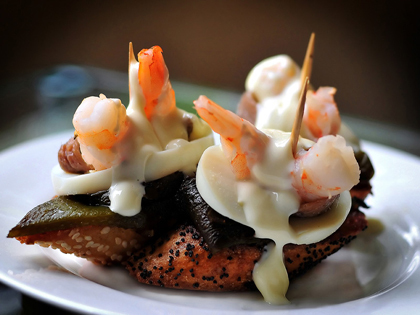 In fact, pressure cookers can be used to cook lot of dishes suitable for any time of the year. The Clipso One unit comes in two sizes according to capacity 6L and 8L with suggested retail prices of $349.95 and $379.95 respectively and are available from all good kitchenware dealers now! Yum! Like cheesy little puffs! I make a lot of steamed dumplings and buns in my pressure cooker. Does come in handy when I need to cook for masses in a short amount of time.